The ring has a unique texture inside with 2 gold bands on both sides of the base ring and on it three swivel bands. 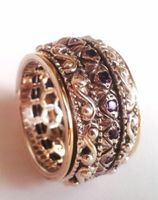 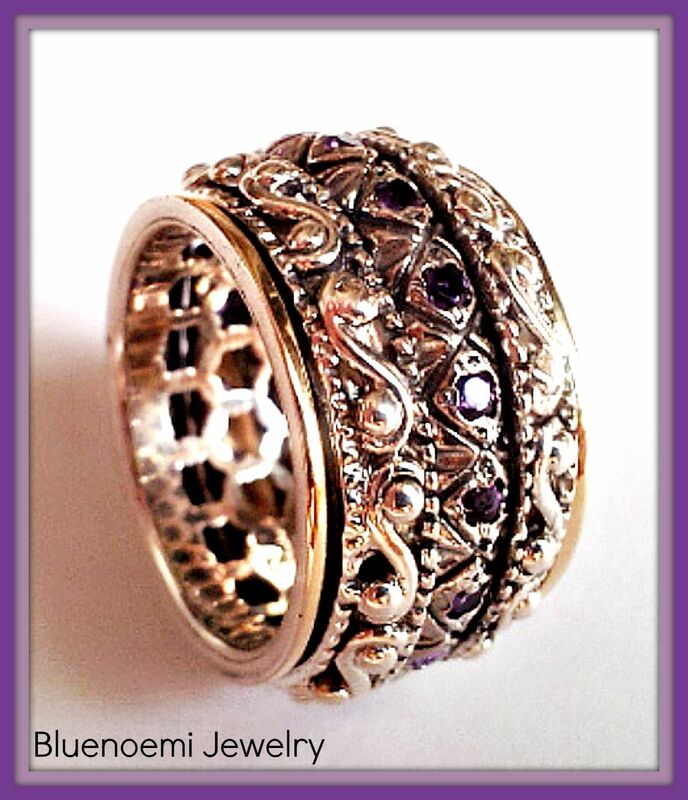 Two bands are silver decorated bands and the central swivel band is set with glittery amethyst stones .The amethyst stones are 2 mm . 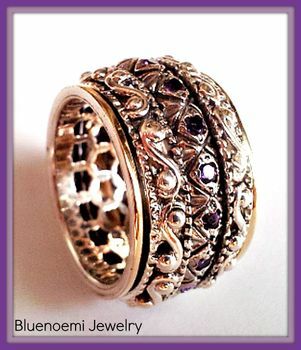 The ring is 1.2 cm wide.